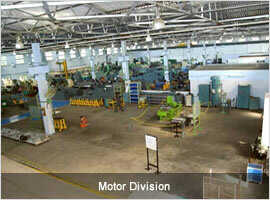 We have a full- fledged Infrastructural set-up sprawling over an area of 3 Lakhs Sq. Ft (3 Factories) for production. 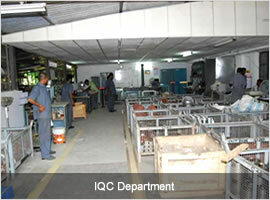 All our products are manufactured with Design & Technology from world leaders in respective products like Festo (Germany) & Jacobi, Germany for Over Head Traveling Cleaners ( OHTC), Welker, Germany for Yarn Conditioning Systems (YCS) and ARGUS,USA for Fire Protection Systems to ensure best in performance & supreme in quality. 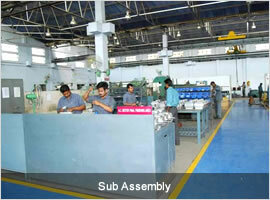 In order to ensure best of quality and reliability all critical parts are manufactured in-house. 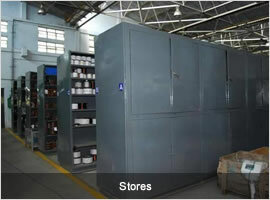 To name few, Motors, Power Duct Extrusion, Fabrication of all sheet metal parts including main body of OHTC, Powder coating, all kind of metal parts ( machine shop ), automated assembly lines, etc. 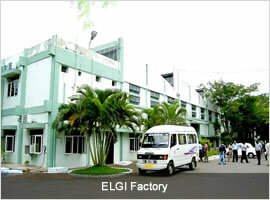 which small/tiny companies can not afford and ELGI customers alone have that advantage. 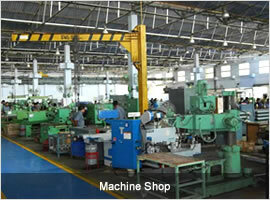 We use advanced machines such as CNC machining Center, VMC, conventional machine shop having Lathes, Milling machines, drilling machines, shaping machine, welding machines, etc. and invested crores of rupees to upgrade our infrastructure as we believe that the quality and customer satisfaction are key to success which small & tiny concerns can not afford. 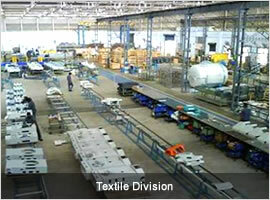 Adoption to latest technology in manufacturing ensures efficiency & flexibility in production. 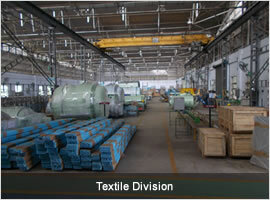 Elgi Electric is well equipped with qualified and most experienced team of managers, staff and operators. The company is headed by an Executive Director, assisted by a President, General Managers, 15 Managers, 120 Engineers & Executives and 200 operators. 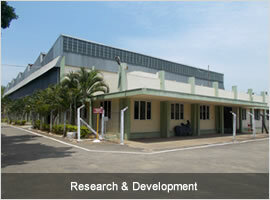 We pay special emphasis on Research and Development to serve the varying demands of the industry. Using advanced machines, technology from world leaders such as Festo-Germany, Jacobi-Germany, Welker-Germany and ARGUS-USA, in-house test facilities and skilled professionals we aim to boost the productivity and serve the needs of future customers with quality & integrity.